A few months ago I wrote about figuring out your ideal weight or healthy weight and why BMI (Body Mass Index) is a totally useless metric or calculation. I’ll show you a Full Body Composition (my own), and the factors that go into determining YOUR healthy weight. I mentioned in that Ideal Weight post that I got a Body Fat Scale, or body composition analyzer. 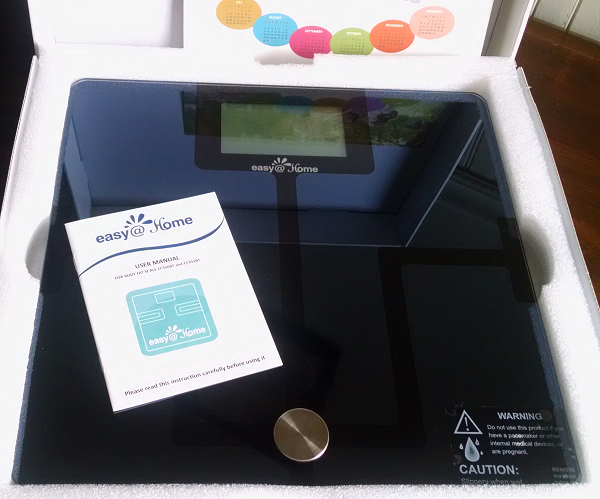 After much research, I got the Easy@Home Bluetooth Body Fat Digital Scale. Losing weight alone is great, but as I’ve continued to lose weight… I’m not at all happy with what was under all those pounds that are now gone. 😛 This encouraged me to start exercising regularly – to tone up my body, and also to get healthier. At my age (40’s) I also began looking at bone health, and ways to improve bone density. I’m no longer on a mission to lose weight. I’m on a mission to improve my overall health, and ultimately my quality of life during this “second half”. With any real goal, you need a metric and benchmark to assess where you are, and to measure your success as you move toward your goal. Which is why I got the Easy@Home Bluetooth Body Fat Digital Scale to start using before I got into a serious exercise routine – and continued losing the rest of my (extra) weight. According to the American Council on Exercise (ACE) 25-31% body fat is a healthy range for women (18-24% for men) –source. The numbers vary a bit by source. It’s not just about losing weight, which is NOT a true metric to go by or even a smart goal – but rather: reducing body fat and increasing muscle mass. Your body TYPE plays a big part in your body fat. Your own personal “ideal body type” plays a big part in your goals as well. I have no desire to be stick skinny OR a body builder. Looking at the photo collage above, I like the 25-31% body fat range. I would love to be the 30% body in the very middle. There’s two things at play: your body type/shape, and your personal preferences. My own Body Fat is currently 34.8%, but I’m short. I use a Fit & Fresh Body Tape Measure to track my body measurements, which is a great little tool! But I’m never 100% sure if I’m measuring with the exact same tightness or looseness as the last time I measured – or if I’m pulling the tape around my body in the exact same place. It’s a “close guess” at least. I probably need to tattoo on “markers” if I’m going to get it right – LOL. I was pretty impressed when I started researching the digital body fat scales that are available right now – specifically with how they work, compared to a regular scale. You use a body fat scale barefoot, because it uses a technology called bioelectrical impedance analysis (BIA) to send a small, harmless electrical current through your body tissues to gather the various stats. 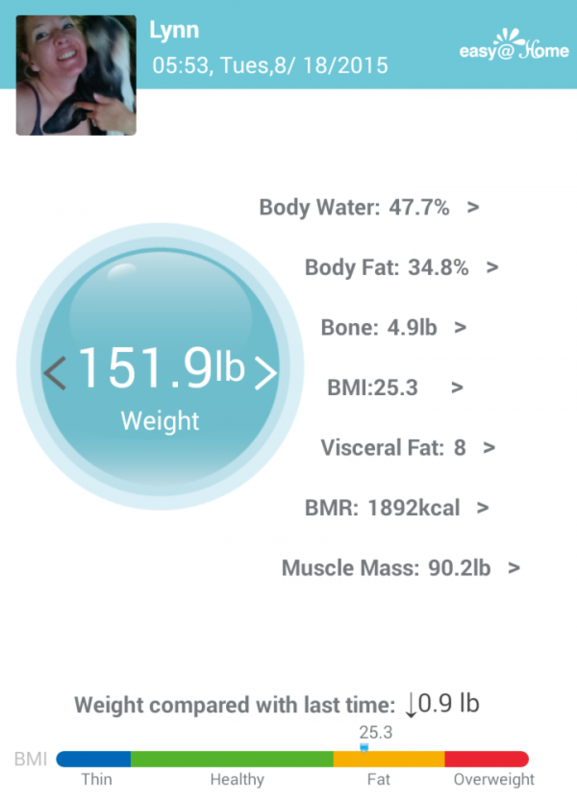 Full Body Composition: There’s More Than Just Body Fat! Just calculating BMI (Body Mass Index) alone is a completely inaccurate view of your body. See Your Ideal Weight. In addition to your weight and your body fat, there are other things that make up the full composition of your body: water, muscle and bone. The goal: LOSE fat, GAIN muscle! What you see there (er, besides my adorable great dane! lol) is my total body composition. Not just my weight, but the overall state of my body. Quite an interesting “picture” or analysis, don’t you agree? Neat! I’ve been tracking this for awhile, and looking at my stats from today versus a month ago, the only real difference is a .2 pound gain in muscle mass. Bingo! Looking back at the same stats at a slightly higher weight (only around 4 pounds heavier), the main difference was my water weight – and my Visceral Fat was quite a bit higher. Visceral Fat is the most dangerous kind, by the way 😯 so that was quite eye opening. Only a few extra pounds added a lot more of a health risk! A pound is a pound is a pound. Fat is just more fluffy. Muscle is more lean, and a pound of muscle takes up less space in your body than a pound of fat. You can easily add muscle weight but look thinner, which is why a traditional “weight only” scale is not accurate if you’re eating healthy and also exercising. Taking body measurements will help you better track your progress, but a Body Fat Scale – or a full body composition analysis – will give you the TRUE picture. I’ve been exercising a bit here and there on top of getting out for “real exercise” (water skiing, for example) but I’ve just started a SERIOUS workout routine and fitness goal. I’m currently doing the T25 Fast Track plus using the Ab Carver. If you’re frustrated with your “weight” – and you’re ready to throw your scales out the window! – considering getting a REAL scale, and setting REAL health goals. 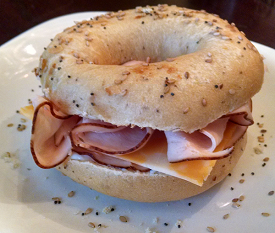 This entry was posted in Weight Loss Products and tagged reviews. Bookmark the permalink. I do not have the phone or I pad. In your searching around for the right scale was there any other that will work with out having the blue tooth? Computer does not have it either. Only tables I have is kindle. It has blue tooth but not supported by this scale. I am so with you on not liking what is going on underneath the skin after fat loss and even have scary feeling lumps. Doc said not to worry. It is still fat left to go. Gross. I say. I hope you are feeling better and enjoying your trip. I haven’t found one yet that doesn’t use Bluetooth, but the calipers are the next best thing. I like the body measuring tape though – that’s simple. Thank you. I will see about getting the tape measure. Will also try lotion. Who knew massage would help. A good excuse to love myself. LOL A person would think doing LCHF would make your skin soft. Not happening here. I have lotion will use. It is almost comical what the sagging skin looks like. At my age it does not really matter. Like you I am just trying to get healthy. And it is working. 47 gone, 43 more to go. Hey Chris! It turns out my friend here in Vancouver DOES have a scale – and guess what? 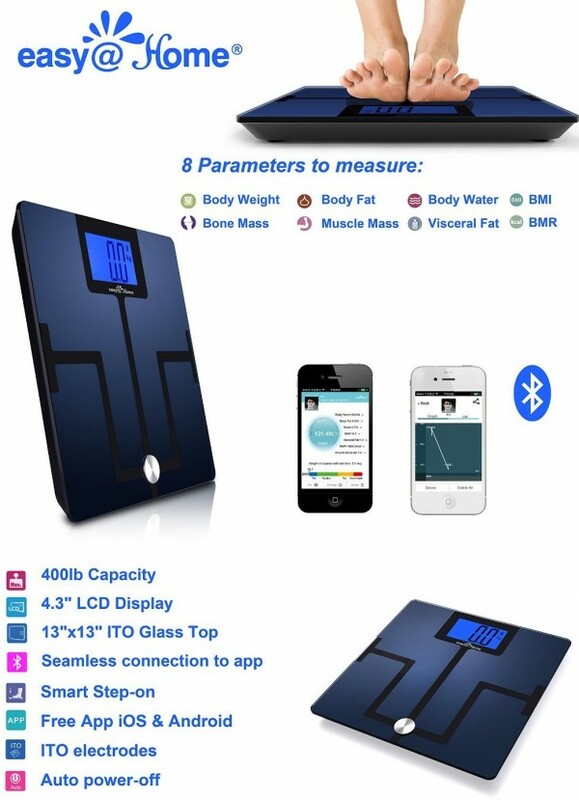 🙂 It’s a body fat scale, that does NOT pair to a device or require bluetooth! The pictures with the body fat comparisons are so enlightening! 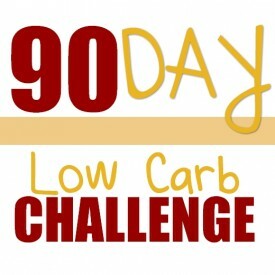 I recently fell off the “low carb wagon” due to alcohol stalls… Those pictures have inspired me to stop having a pity party and get on track again! 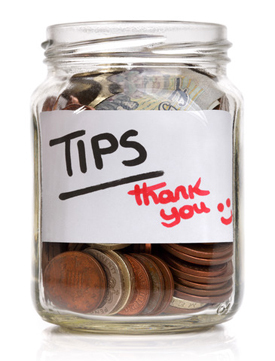 I am so thankful I found your blog! The “alcohol stall” really just means it takes longer to metabolize your food, as alcohol has to metabolize first (and takes longer). You should still lose weight as long as you’re staying at 20 net carbs a day – including your alcohol. Wine and beer can add up on you quickly, if you can drink more than a couple (I can’t lol) so I prefer something like rum & diet coke. Thank you so much. I will see if I can find it to order. This is pretty exciting. Also tried the lotions and it does help to give my skiiin a better appearance. The coconut oil is a bit too greasy but the jerins works nicely with out irritating. I have psoriasis and need to be careful with lotions. Thanks for the scale information. Who goodie I get to go shopping. Have some birthday money. I’m glad the lotion is helping. 🙂 Here’s the link: http://www.amazon.com/gp/product/B00M8FXDIQ/ref=as_li_tl?ie=UTF8&camp=1789&creative=390957&creativeASIN=B00M8FXDIQ&linkCode=as2&tag=travelinglowcarb-20&linkId=HEXC6ERMGYEVQEZ3 and you can go from there to see the similar body fat scales. Just make sure you choose one that doesn’t require pairing or bluetooth. 🙂 Happy birthday!! Do you know why they ale gives percentages that value more than 100%? How it it possible to weigh more than 100% of my total body weight? For example, body fat 40%, water 50% bone 8lbs (4%) muscle mass 30%. Averaged numbers but they add up to 120% I don’t get it? Good question, Jenn – I haven’t seen that happen! I would check their site for FAQ or support on that. 😉 Let me know what you find out! LOL Bonnie! 🙂 That made me LAUGH haha. I’m down to the 130’s as well and definitely want to know what goals to work on: and getting rid of the rest of my body fat is a high priority right now, while gaining lean muscle weight.